Two morning games at the Complex Tuesday. Clearwater and Lakewood faced the Blue Jays Single A teams at 10:00 AM. Lehigh Valley, Reading, and the short-season group took the long bus ride to Dunedin.I focused on the Lakewood game while Clearwater beat the Dunedin Jays 9-4. Randolph and Jan Hernandez cracked home runs in the win. 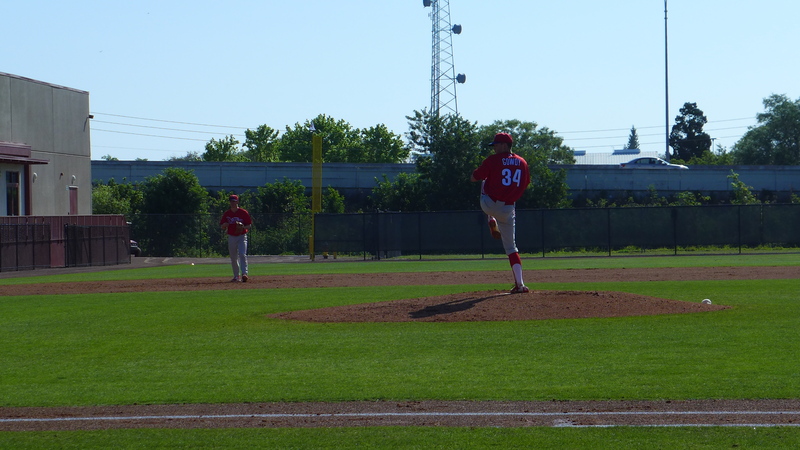 Meanwhile on Schmidt Field, Kevin Gowdy, Kyle Young, and Nick Fanti shut out a jays line up that included Beau Bichette and Vlad Guerrero, Jr. for seven innings on their way to a 3-1 victory. Here’s a 4-photo sequence of Gowdy’s delivery. 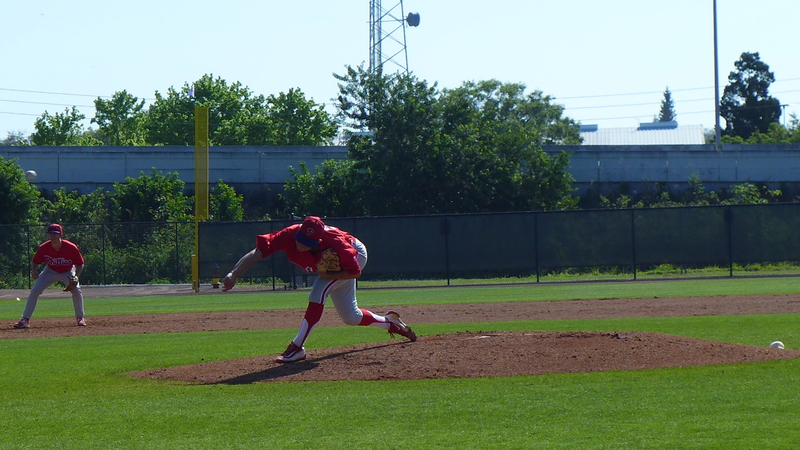 Gowdy struck out 4 batters in 2.0 innings. Young pitched 2 innings and struck out two and got a lot of ground balls. Fanti pitched 3 innings. After the trio finished, they had a 3-0 lead after seven innings. Harold Arauz video. Arauz closed out a 3-1 victory. Camp day on Wednesday. 1:00 PM start for intrasquad games (per coaches). Minor league rosters are rumored to be set after Thursday’s games. I hope to get my hands on a copy by Friday morning. Nice photos of Gowdy’s delivery, Jim. I don’t frequently comment on the minor league spring training articles, but these are great recaps. Randolph and Emmanuel Marrero hits home run yesterday, it was not Jan Hernández ! Easy with the exclamation point! Good to hear that Randolph apparently has some newly found power. 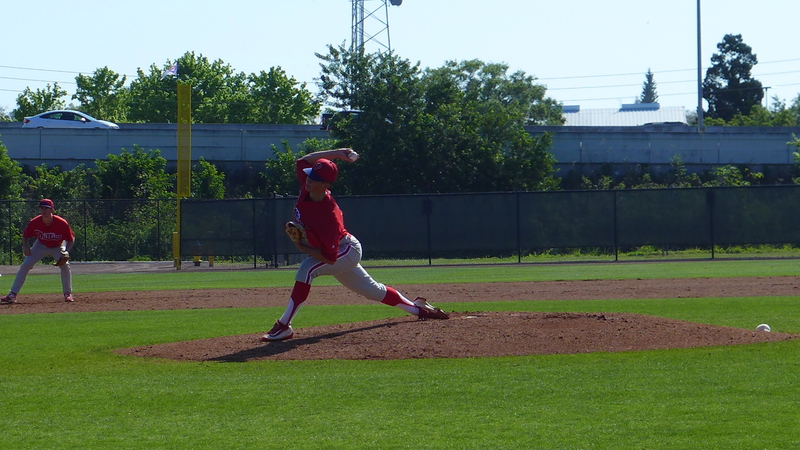 Stobbe and Sixto were named the organization’s top players of minor league camp. Can’t wait to take a gander at those rosters! Great news for Stobbe, that must mean he’s starting at Lakewood. It looks like Randolph may have earned a start at Clearwater but if so, what does that do to Tromp. Lots of competition this year for spots. I expect Tromp to be in REA but with Goeddel playing regularly – there may not be enough at bats since Tocci, Brown and Pullin are also expected in REA. Another burning OF question is where will Cord Sandberg play? C at LF and Pujols at RF will start in CLW. Will Sandberg play the CF and push Coppola as the 4th OF?? With Moniak expected to play CF in LWD, Laird might be assigned in CLW and play CF. KuKo….you are correct…there is plenty of OF depth in the A levels. Also wondering if Luke Williams will be at Lakewood. Have to assume Jan Hernandez is headed for the Threshers in CLW. I hope to see more of Coppola this year in Clearwater, his speed seems to be a game changer the little I saw him last year. Always seemed to be in base. I want to see a bounce back from Lucas Williams. With a so-so 2016, it’s hard to see him double jump to CLW to give way to Stobbe in LWD. I think there’s enough opportunity for both. Another prospect that I want to bounce back is Edgar Cabral. 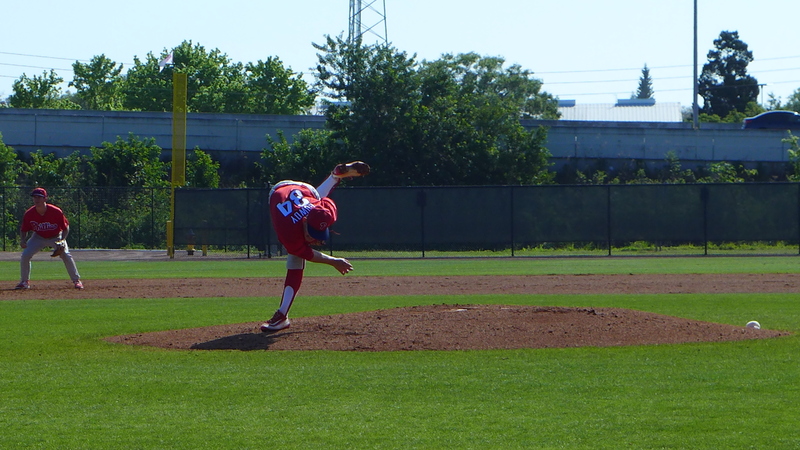 The Phils will probably assign Lartigue and Barbier to LWD and Grullon in CLW. I think Cabral needs regular at bats to find his groove. Who is the catcher in the Gowdy vs Beau Bichette clip? He gunned down the runner. Edgar Cabral. No to take anything away from Cabral, but I was standing with Gowdy’s parents. We all questioned whether or not we got a favorable call on that play. Jim, has Gowdy looked as good as we hope he is? He looks like he knows how to pitch. He seems to have nice control over all of his pitches. Now, it has been a small sample size so far, 11-12 IP last season and a couple spring outings this year. I think the scouting reports said he had 2 secondary pitches that promised above average potential as well as a low 90s fastball. So far, I haven’t seen anything to contradict that report. And, he certainly seems to have the plus make up that organizations value. He’s poised on the mound, unflappable when things don’t go his way, and exhibits a positive personality with fans in an environment that doesn’t afford a lot of protection for players during spring training.